Gary Gershoff/Getty Images for Songwriters Hall Of FameThursday night in New York City, some of music’s top singers showed up to pay tribute to the people who put the words in their mouth: the songwriters. 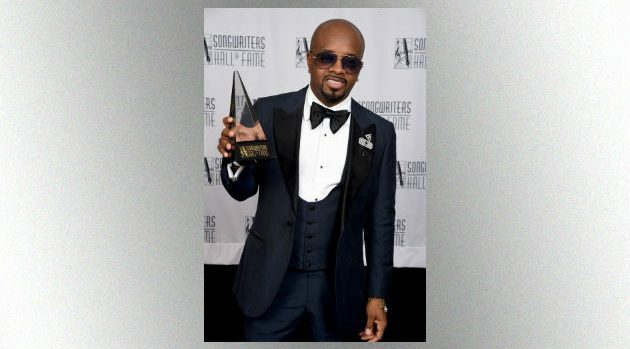 At the annual Songwriters Hall of Fame Induction Gala, hitmaking group Kool & the Gang, songwriter, producer and label boss Jermaine Dupri were among the honorees, while Usher, Mariah Carey, Fantasia, Leon Bridges and The Weeknd were some of the stars who showed up to pay tribute to them. Current R&B star Leon Bridges inducted members of Kool & the Gang after performing the group’s hit, “Get Down On It. Robert “Kool” Bell, Ronald Bell, George Brown and James “JT” Taylor performed — what else? — “Celebration” together for the first time in 25 years. Also at the ceremony, Fantasia performed the song “I Just Fall In Love Again” as a tribute to songwriter Steve Dorff, another inductee. That song has been a hit for The Carpenters, Anne Murray and Dusty Springfield.